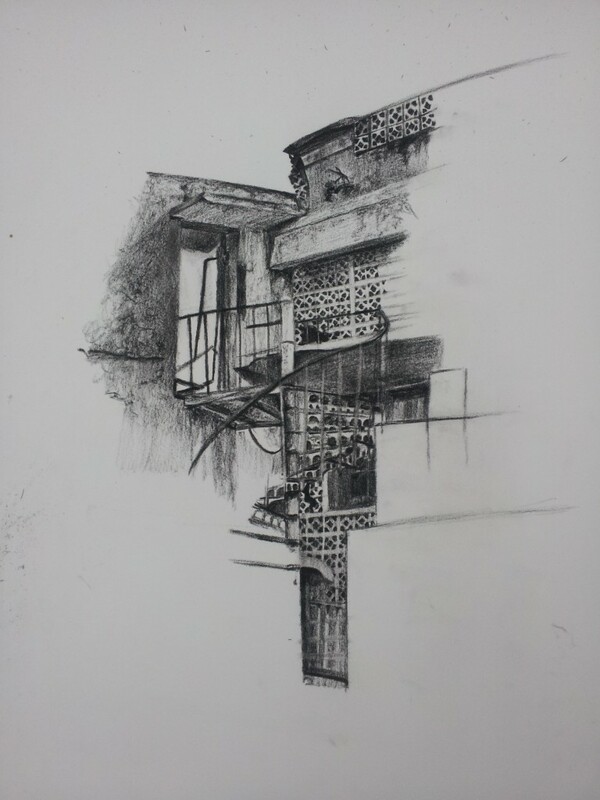 I have been given the opportunity to travel to India of a 2 month teaching residency at the International Institute of Fine Arts in Modinagar (40 miles outside Delhi) along with 3 other tutors . This is part of the Prince’s Drawing Schools Alumni Programme. 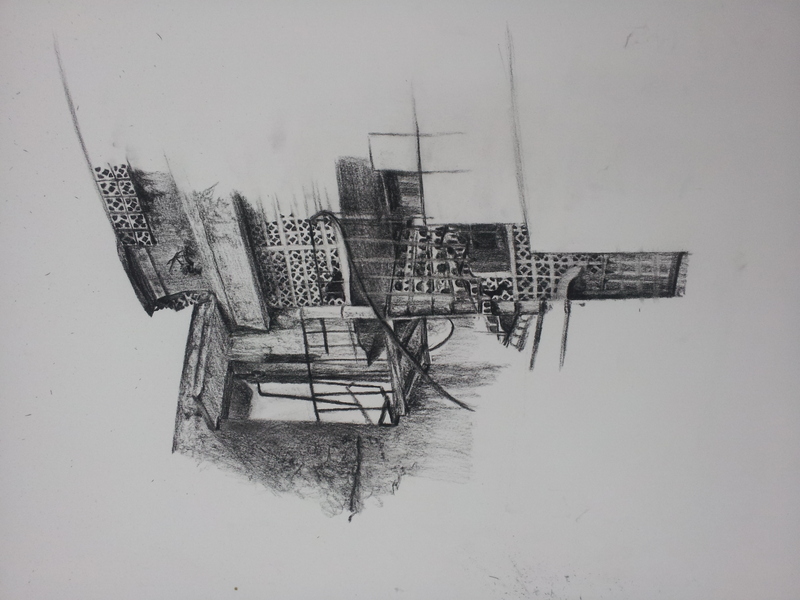 I will be teaching drawing to foundation and degree level art students as well as working on my own artwork at a studio based in Delhi from November to the end of December. I have been settling into living in Modinagar and teaching at IIFA. 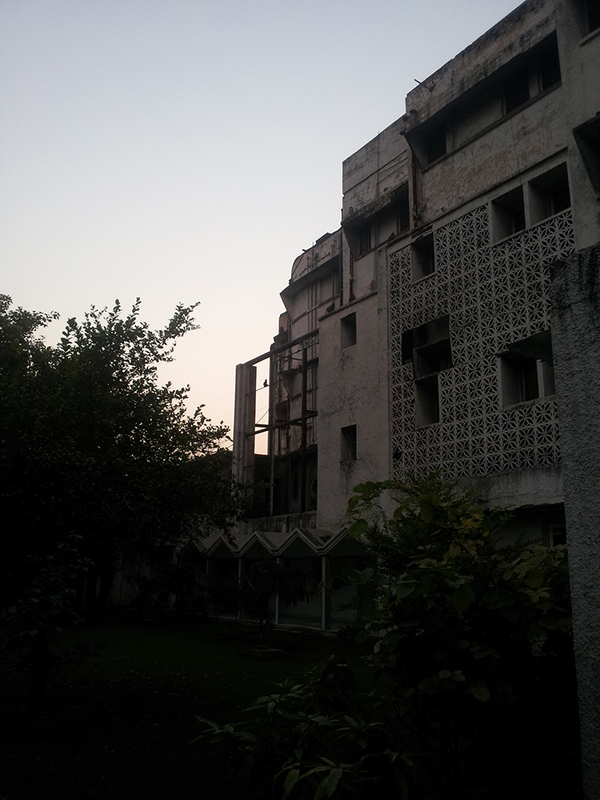 The house we are living in in Modinagar is the ancestrial home of the Modi family. It is a large house with several wings built in the 1930s. Most of the house is not in use so we have the large grand rooms to our selves. 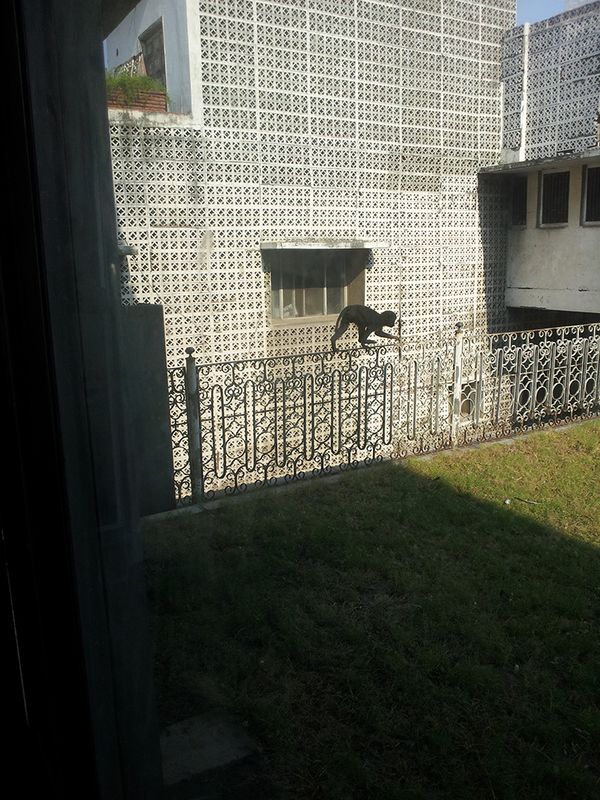 The garden and roof tops in and around the house are full of monkeys. They are the main hazard when drawing outside and we are told not to make eye contact, so I have been getting used to ignoring them. The house is next to the sugar factory and the school were I am teaching is part of the disused textile factory. 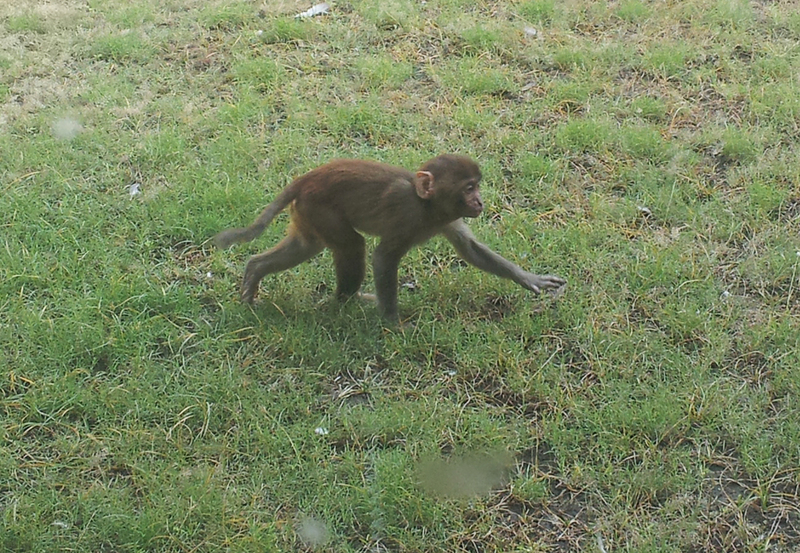 We were lucky enough to get a tour of the disused textile factory which is now a playground for monkeys. Time seems to do odd things here and speed up and slow down in a strange way. So the month left here will be both a long and short time.